When the hydrophobic NeverWet spray came out, it promised to waterproof everything, but users found they had mixed results in applying it to things like clothing and touchscreens – it discolored shoes and left films on devices. 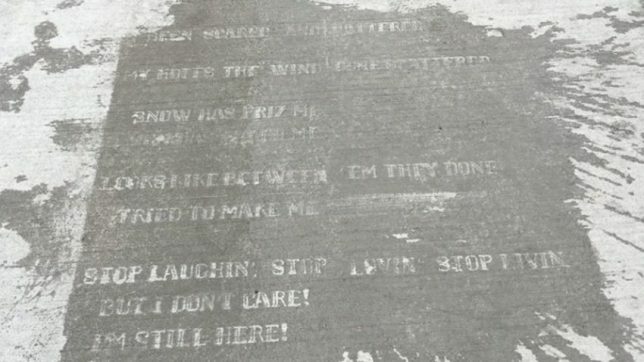 Then someone thought to create a stencil and tag sidewalks with the stuff, and a new type of visible-when-wet graffiti was born. Since an initial round of stencils came out in Boston, others have gotten even more creative with the stuff, creating hopscotch boards and other water-activated drawings. Recently, a series of works inspired by the popularity of the augmented reality game Pokémon GO have allowed people to throw gameplay-inspired water balloons to reveal characters on sidewalks. 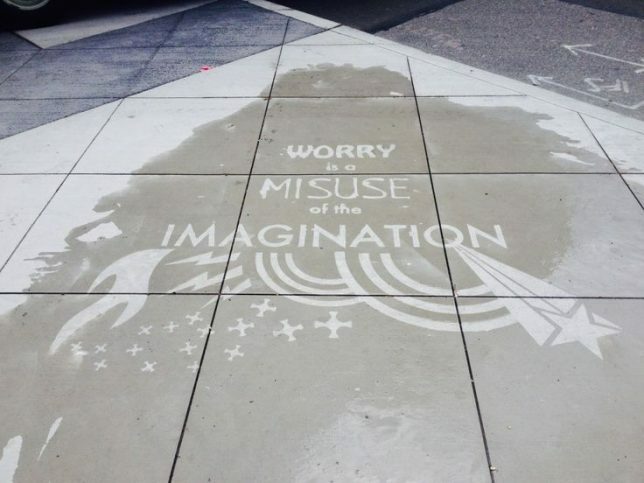 Rainworks in Seattle has created an array of humorous messages and interactive games that only show up when the city’s famous fog turns into a downpour. Others have made poems and short stories spelled out light-on-dark against drenched backdrops. Of course, the potential applications are endless – businesses could use the same strategies to offer rain-specific happy hours or other discounts to passers by, signs that only show up when wet. 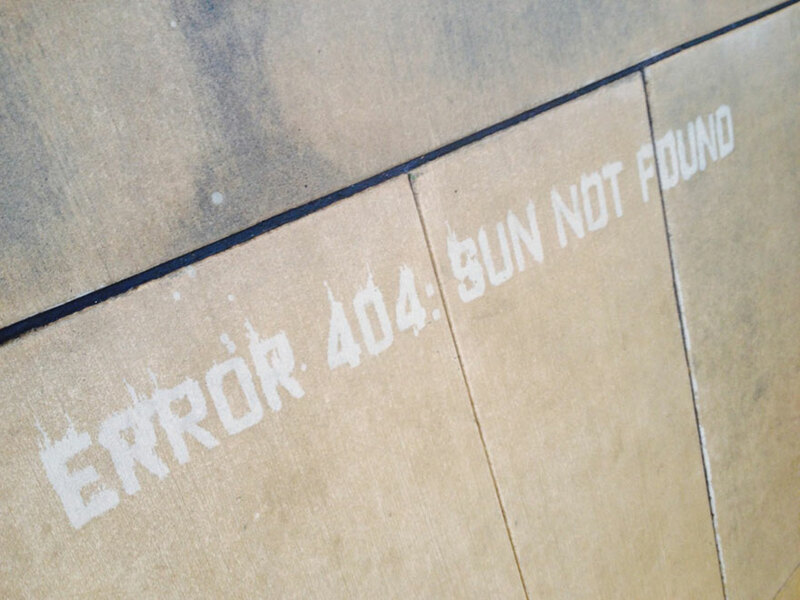 Graffiti artists could add new secret layers to their murals that also only appear in the rain. Fun in the sun is great, but this approach encourages people to get out on cloudy days … then rewards them for their efforts.